Perla Negra is a natural process, organic coffee produced by the Chacon family on their Las Lajas Organic farm and micro mill. 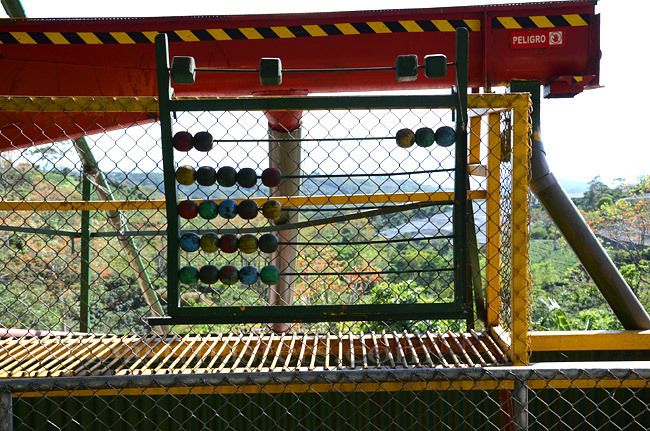 The farm and mill are located in Costa Rica's Central Valley region, specifically in Los Angeles, Sabanilla de Alajuela which is near the fault line of the Poas volcano. We visited the Chacon's in February, though we had been familiar with their coffee from the prior year. The Chacon Solano family has been farming coffee here since 1936, making them something of a pioneering clan in the Central Valley. Since 2000, they have been certified as organic producers and processors. They practice soil and water conservation, and, control biological pests and disease through natural means, such as vermiculture whereby worms compost and enrich the soil. The Chacon's have a keen interest in sustainability, beneficial environmental practices and social initiatives. Since this is a family business, most of the farm's projects are handled by family members, friends and neighbors. 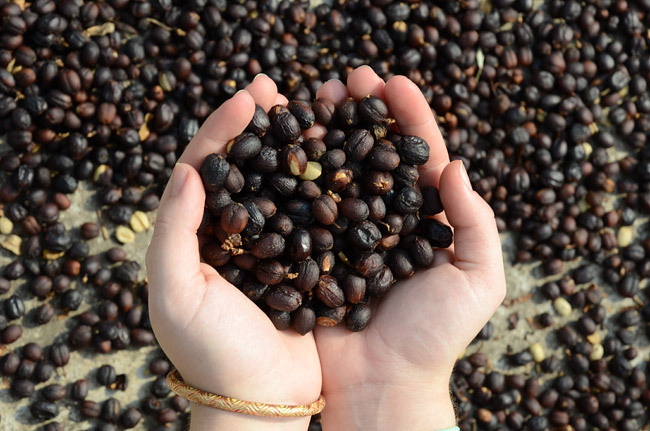 The coffee is traceable from farm to consumer. The Perla Negra natural is entirely Caturra varietal, but the farm also produces Catuai and Villa Sarchi. All are Arabica varietals and each is best suited to the particular plot upon which it is grown and matched to a particular processing method. Cherry is entirely hand picked at the peak of maturity. Farm elevation ranges from about 4500 to 5200 feet. Perla Negra is a fully natural (dry) processed coffee, meaning that the cherries are dried whole and later milled. Drying is on raised African beds. The drying fruit has an influence on the final flavor and can produce intense fruitiness, however, the Perla Negra would be characterized as having medium or more fruit influence, perhaps 7 out of 10. This is a direct trade coffee and the grower has been guaranteed a significant profit and received income far in excess of local producers, as recognition of the coffee's quality. This coffee is in extremely limited supply. Cup Characteristics: Fruit intensity from the drying cherry is significant in this coffee. Big cherry-vanilla flavors, raspberry. Very broad and earthy with more fruit intensity then previous year's coffee. Big, sweet sugar cane, honey and sugar browning overtones. Mouthfeel is smooth and substantial. Clean, sweet. Chocolatey, medium heavy body. Delicate for a natural. Complex, textured, mildly acidic. Roasting Notes: This coffee can yield fruitiness in the range of C+ to FC. It would be OK, in our opinion, to take it as far as second crack but no further, and, would yield more body but less piquancy and fruitiness. Cherry dried naturally in its pulp. 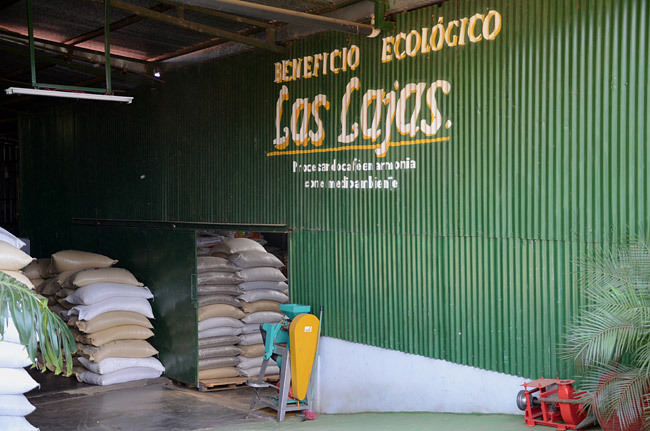 Las Lajas farm and mill are organic. 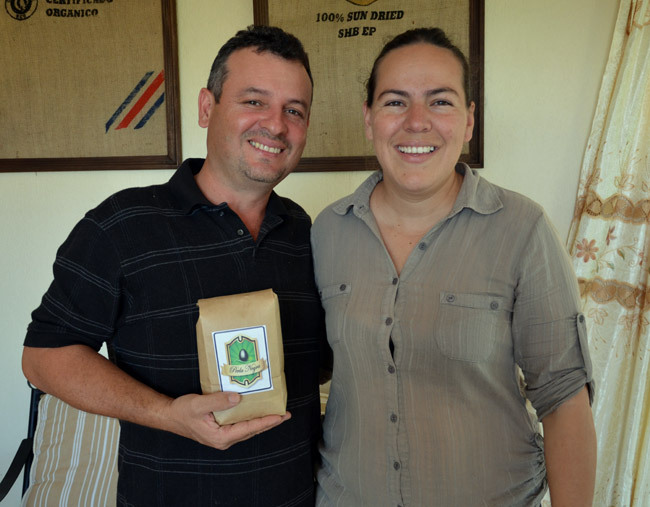 Oscar & Francesca Chacone holding Perla Negra for our cupping. This is how the Chacon's keep track of cherry quantity being processed.